Could your system for filling your frame boards benefit from a fresh, data-driven approach? Are you missing opportunities to make your inventory turn more quickly? More profitably? Could a more strategic frame selection process streamline the purchase decision for you and your clients? Category managers in large retail chains have been perfecting disciplined approaches to selecting and merchandising their product assortments for decades. Some of their techniques might help you boost your board performance, while reducing your investment in time and inventory. Traffic Drivers: high mind share (consumers recall these brands quickly and without prompting), frequently purchased, high percentage of sales; example: Ray-Ban. Transaction Builders: higher price point, they build loyal, repeat customers; examples: Orgreen, Maui Jim. Profit Generators: higher gross margin, strong inventory turns; examples: Tom Ford, Gucci. Cash Generators: higher inventory turns, frequently purchased; example: Kate Spade. Exc­itement Creators: impulse, lifestyle-oriented, seasonal, new product or segment; examples: NO LOGO, Etnia Barcelona, Tekka. Image En­­hancers: highly promoted, impulse, unique items, seasonal; example: Dior, Chloe. Turf Defenders: used to draw in traditional customer base; examples: Prada, Lafont. Decide how much space on your frame boards you want to dedicate to each of these categories. 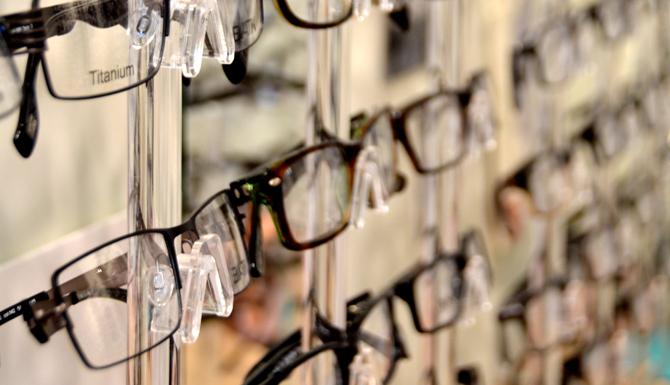 ­­Remember the 80:20 rule: 80 per cent of your sales will tend to come from 20 per cent of your frame selection. Reflect this reality by stocking 80 per cent of your frames from the Traffic Drivers. Successful category managers resist the temptation to expand the supporting roles. Merchandise precisely, according to the experience you want to create. Build instant credibility and comfort by greeting customers with Turf Defenders near the entrance. Create moments of delight by allocating Excitement Creators horizontally as your customers walk through the store. Place Image Creators strategically at eye level and sprinkle Profit Generators into the mix. Draw customers through the store by making Traffic Drivers visible towards the back. Transaction Builders deserve special attention, with freestanding displays and targeted, point-of-purchase messaging. Analyze data to quantify your space management. “Planogram” software can be used to map out your space at little or no cost. A planogram is a useful tool to analyze and maximize the direct profitability of each space on your frame board. It supports data-driven conversations with your vendor sales representatives. Brands are given precisely the same share of space as their share of sales. New entrants without proven sales records need to earn their space, perhaps with promotional allowances or extended payment terms, before displacing current offerings. Extract frame sales information from your point-of-sale information. Geocode it by postal code and use tools like Environics Analytics Prizm5 (http://www.environicsanalytics.ca/prizm5) to identify the incomes and psychographics of your most profitable customer demographic. Use this mapping data to zero in on your target market sweet spot for future frame selection and digital promotions. Be ruthless, no matter how much you like your sales representative, and no matter how much you personally like a new frame design! The best category managers do not make exceptions. For every new frame added, be sure you know the position and role it will play and which frame it is replacing. Frame boards will be anything but boring if you infuse them with deliberately chosen characters that tell your story in a consistent and impactful way. Your unique audience will be thrilled and your results will earn rave reviews.